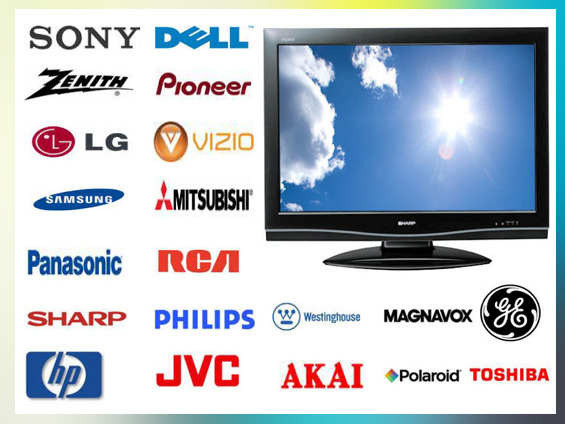 We are specialist in repairing all Television Brands including CRT, Flat TV, HD TV, PROJECTION TV, LCD & LED TV's. We has been providing top quality service at affordable prices to the customers. We also provide online support. All of our technicians are professionally trained, where they are fully capable of solving any difficulty regarding televisions. Over the years, We has successfully attained a noteworthy position in the market due to its supreme quality services. Also, our ethical and transparent business dealings have helped us to uphold the top position in our domain. Besides above-mentioned, there are many other variegated factors that helped us in owning a significant name in the market. Financial stability and customer friendly approach that helped us in gaining trust of the patrons. In-house training centers, where we train our employees and keep them updated with latest technology in the industry. Highly experienced engineers and quality control team. Monitoring at every stage of operation, with the help of a team of skilled, experienced, and dedicated quality controllers. Ensuring customer satisfaction through excellent services. Welcoming and incorporating suggestions and feedback from the customers in order to improve our services. Taking care of immediate replacements, in case of an employee leaving the job suddenly. It helps to save time, money and customer discomfort due to a possible delay. Easy payment modes for the ease of customers.Easy payment modes for the ease of customers. The in-house quality testing service that helps in completing all jobs successfully. Reliable and prompt service to clients. Cost effective and time efficient services. Competitively priced services with no hidden costs. Highest standards of service and work as per the industry norms. It is because of the above mentioned factors, that Chennai Electronics Service Centre has been able to achieve a firm and strong position in the market. 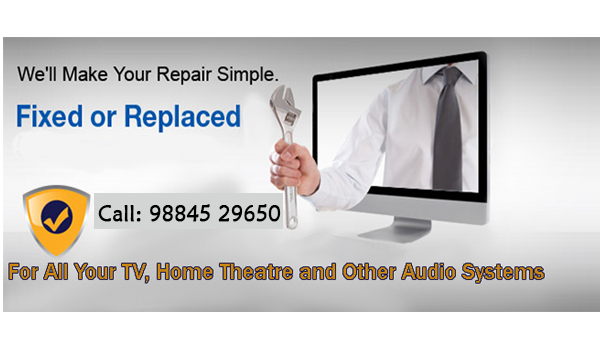 For any kind of TV and its accessories repair service requirements in future, contact Chennai Electronics Service Centre for high quality and reliable services. We service TVs and LCD panels, We have thebability to give the perfect picture quality of any make or model television, in other words CRYSTAL CLEAR !! #54/2, R Block, Kotturpuram River Bridge, Kotturpuram, Chennai -600085.